Broomgrove manager Donna Pierpoint cares passionately about the lives of older people and champions their cause via her regular column in The Star newspaper and this blog. Tell her your views and join in the conversation! My care home residents have always been painfully aware their influence starts and stops inside Broomgrove Nursing Home. But a recent speaker was a true revelation for us. Melanie Rice came to talk to us about exciting opportunities that mean residents can now influence the shape of services provided for older people in the city. She works in the Council’s Communities Department. A new Care Act was introduced on April 1st, 2015, which makes changes for Adult Social Care. The Council is keen to involve more service users in the decision making process about priorities for the future and plans to improve and develop services in adult social care. I’m glad to say the council seem very far ahead of the game. Melanie told us about the varied ways for people to get involved. But at the moment there aren’t many care homes involved in the process so I’d suggest others take the opportunity and contact her. Hence why the council were so keen to visit us and get us involved. Something we’re all too willing to do! The Council regularly take a lot of flak – they’re doing some great stuff here. Service Improvement Forums. These are bi-monthly city centre meetings whereby members check the quality of services and plans for the future with managers. The Readers Group. Check and improve documents. Safeguarding Advisory Forum. To discuss issues and provide advice about training and awareness raising. Fairer Contributions Commission. Advising on financial contributions policy towards the provision of adult social care services. Quality Improvement Network. Members contribute ideas without having to attend meetings. There will soon be a forum for Family Carers to discuss issues affecting them and make improvements to services. And there is also a Citizens Reference Group that involves people with plans across Health and Social Care. Choosing a care home for a person you love – very possibly a parent that looked after you and brought you up – is one of the most difficult decisions you can ever face. Where do you start? Looking for a care home is normally only done as a last resort – when a person can no longer be cared for at home and all other options are exhausted. It can be a very stressful time and it’s likely the relative in question will be very anti the move. There’s little doubt that reputation and word of mouth recommendation are still one of the best ways of getting a steer. Ask around. Think about who you know that has a friend or relative in a care home. Would they recommend it? Check a home’s website and check for any independent reviews – that will give you a good feel for the place. Look what services a home offers. Does it have everything your relative will need both now and in the future? Where is the care home based? Can you get to it easily? Is it on a bus route if you’re using public transport? The www.carehomes.co.uk website is a very good resource and guide to what’s out there. Check that and try and draw up a short list of no more than three. Visiting care homes can be tiring and draining – try not to have to visit too many. Do your research beforehand. Don’t make an appointment – turn up unannounced. It’s the only way to really know what a place is really like. Try and visit in office hours – that way you’ll have more chance of getting all the information you need as all the staff and management will be in. Make a note of what the atmosphere is like. Do the staff smile, is there laughter? What’s the odour like? A care home shouldn’t have a general odour – if there’s an unpleasant odour, they’re not doing things right. Don’t be afraid to ask questions. Take a list of pre-prepared questions with you. Care Quality Commission (CQC) reports are a good measure of standards but remember, they normally only reflect a single day and might not be representative of the home when you visit. 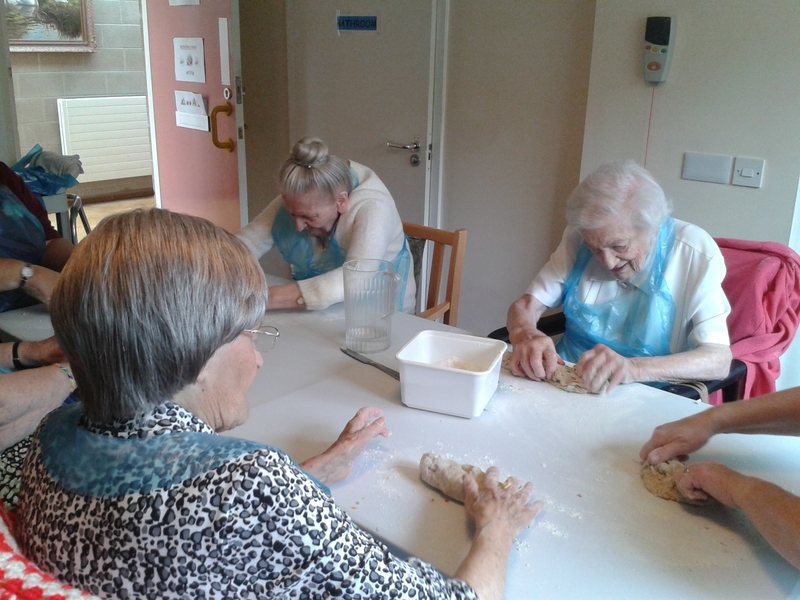 Organising activities for residents of a care home can often be a soul destroying job. You arrange various events but only a handful ever seem to want to participate. You feel like the residents don’t want to join in and, as a result, you can often feel your efforts have not achieved anything. But you have to understand that this is simply not the case. 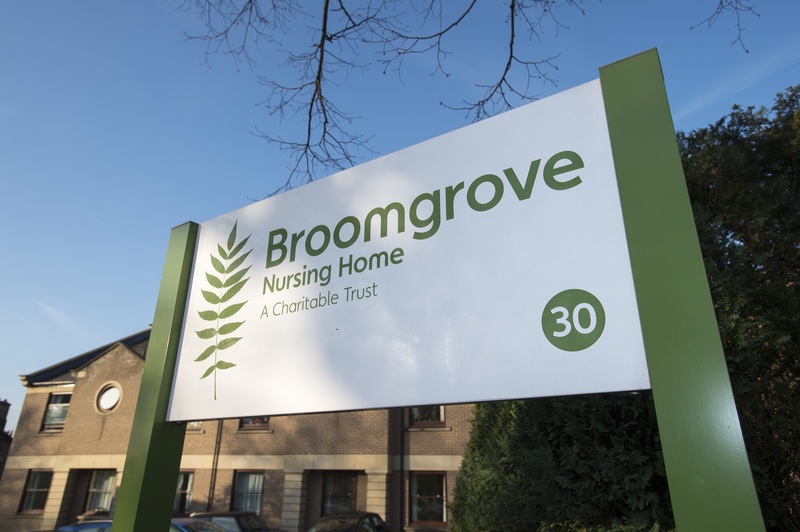 Too many people forget that every resident at Broomgrove – and any other care home for that matter – had a totally different kind of life before they arrived. They holidayed in different places; had totally different leisure pursuits and pastimes. Some were the life and soul of the party, some preferred to stay home and watch TV and others preferred the company of close family – everyone was different. Care home residents don’t lose their likes and loves – it’s up to the care home to rediscover them and work extra hard to find the kinds of things they enjoy. 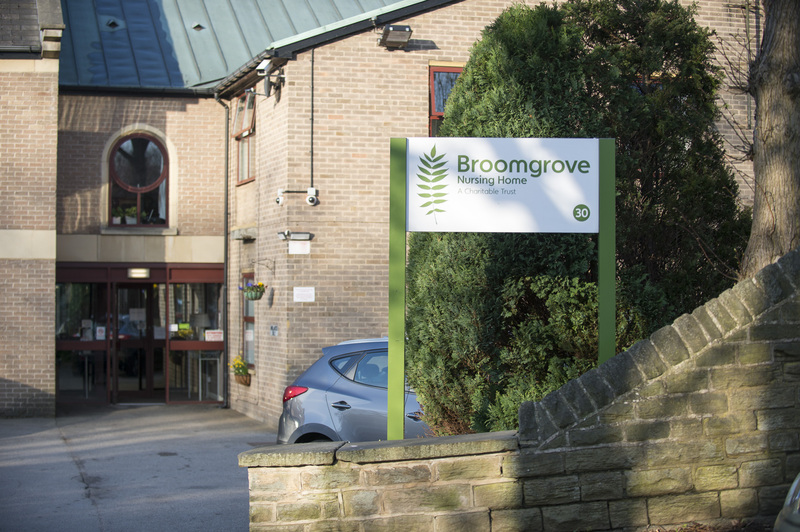 So that’s why at Broomgrove we have a very wide range of activities and we focus on what individuals want to do. So it doesn’t matter if you only have a small group – it’s expected. The golden rule is don’t get frustrated, just focus on what a resident likes. We employ three different activity coordinators, each with their own skills. We find this is very helpful way to provide the find of pastimes that residents want. Moira is brilliant with knitting, painting and arty type stuff. Kay is a fabulous musician and is great with music therapy. 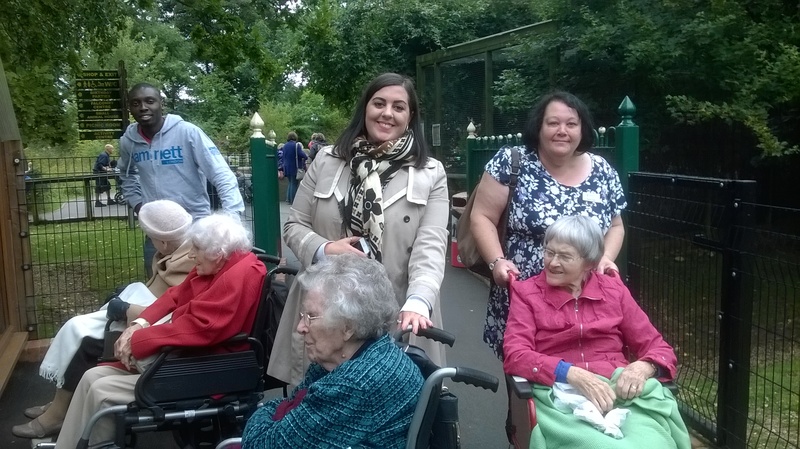 Denise is great fun and wonderful at taking residents for walks and doing one-to-one activities like playing cards. As well as having in house activities we also buy in a lot of entertainment and have a minibus so we can take residents places. We organised a trip to South Yorkshire’s Tropical Butterfly House a few days ago. That was a wonderful event. Seven residents out of 37 went. It’s not unusual to have that many people on a trip. We raise the money for entertainment ourselves through things like our Summer Fayre. I think every single resident deserves quality entertainment tailored to their own taste in their later years. Care homes should do all in their power to provide it. Choosing a care home for a person you love – very possibly a parent who looked after you and brought you up – is one of the most difficult decisions you can ever face. Read our manager Donna Pierpoint’s column in the Sheffield Star – How to choose a care home.